Before I first started as a virtual assistant, I was a freelance writer while working my full-time job. A few of my clients started asking me for help outside of freelance writing, and because I needed the money, I happily obliged. That’s how I was introduced to the virtual assistant world. Although my introduction to becoming a VA came from clients that I already had, I still had to learn the ropes of building a successful virtual assistant business. But if you’re starting from scratch, don’t worry! It’s just as easy to build a virtual assistant business from the ground up. There are so many great benefits and pros to starting a virtual assistant business. Here are just a few of my favorites. It’s affordable, and can even be free, to start a virtual assistant business. You don’t need any special equipment, you don’t need a college degree, and you don’t need a picture-perfect, spacious office. Your VA business can focus on the skills you already possess. There are so many different types of VAs, and no VA offers the exact same services. Admin, research, and general management VA services are the easiest to break into, but you can offer whatever skills you’re already best at. As a VA you set your own schedule. When I first started, I worked on my VA business before and after my 9-to-5. Then I added weekends as my workload grew. After I first quit my job, I worked on my business just as if it was a full time job, Monday – Friday 8 am – 5 pm. In your virtual assistant business, you can work on it whenever you want, whether it’s part-time or full-time. You can work from home, or the coffee shop, or while traveling. It doesn’t matter where you work when you have your own virtual assistant business, as long as your work gets done. Keep in mind though that you will need a strong internet connection to accomplish most of your tasks as a VA.
As a freelance VA, you set your own rates. You can charge as much as you want as long as you can find clients who are willing to pay you. I know VAs who charge $45 or more an hour! Plus, you can raise your rates at any time. No more waiting for an annual review to get a raise. You can grow your skills (oftentimes for free) because clients may pay you to learn something that can help their business. Other times, you may decide to take a course or buy a product that teaches you a new skill so you can charge more for your services. As a VA, you’re always learning, and sometimes you get paid to do it! While there are definitely more pros than cons when it comes to starting a virtual assistant business, I am writing this in full transparency. Here are the few cons that I’ve found. Getting your first client can be somewhat difficult if you don’t have an online network to reach out to (such as a group of bloggers you’ve already become friends with). This is also true if you’re an introvert or don’t like cold pitching. Luckily, hard doesn’t mean impossible! It often only takes one client to get the ball rolling. After you’ve gotten your first client, getting your second, third, and more will be much easier. PS – If you enroll in the Pro level of my course, $10K VA, you can find your first, second, third, etc. clients from the leads I share with my students. Easy, peasy! Since you’re a contractor and not an employee, you don’t get health insurance, sick leave or other paid days off, or any other employee type benefits. Since your employer isn’t withholding money from your paycheck for taxes (since you’re self-employed! ), you have to pay your own taxes. This can be a con if you’ve never budgeted for paying taxes on your own before. You also have to remember to send in your own quarterly or annual tax payments. While I personally don’t mind budgeting for and paying my taxes, I still hate working on my taxes. It can be exhausting getting everything together when you’re self-employed since you should keep track of all your own income and expenses for your business so you can claim all of the deductions possible come tax time. If you’re an extrovert (like me!) working from home by yourself may get old. I like getting out and meeting people, but there were many times where I was stuck in my seat the whole day because of my work. Again, there are more pros than cons when it comes to starting a virtual assistant business. However, I did want to mention the cons. Many are easily solved (like getting a part-time job with benefits while building your business, or making sure to maintain a social life outside of work), but others may take some time and effort to get used to. 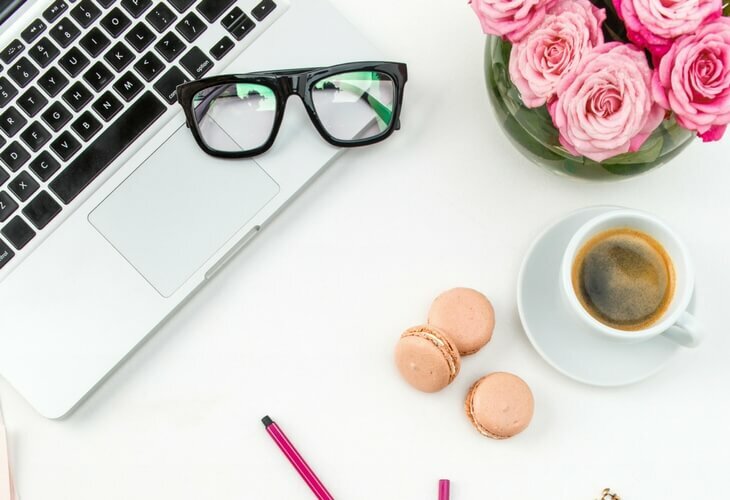 Now that you know the pros and cons to starting a virtual assistant business, let’s talk about the steps you need to take to get it up and going. While you can keep this simple and just use your own name, some people want a catchy name and title for their new virtual assistant business. If you go the route of catchy, just make sure it’s easy to pronounce and search for. You don’t want a name too long or too confusing, especially when you first start. What are you good at? Are there any specific services that you’d prefer to offer? When I first started, I offered social media services, blog management services, and even technical services. As time went on, I narrowed down my offerings and also upleveled my skills to include some services that may pay more, like project management and team management. When you first start, choose what you’re comfortable with. You can always change it later! The same goes for your rates. I’ve seen many VAs start at $15-$20 per hour. Just remember that as a business owner, you have to cover your overhead, technology, taxes, and more. So find the amount you need to live on, and tack on an extra $5-$10 an hour to help cover other necessities. Depending on your state, county, and city, you may need a business license to run your virtual assistant business. Be sure to check with all three to see what you need or don’t need. Also, if you do decide to name your business differently from your own name, you’ll most likely need to fill out a DBA (doing business as) form as well. While you’re figuring all of that out, it’s also the perfect time to decide how you want to structure your business. This step may be best decided with the help of a lawyer and CPA, because setting up the right business structure will help as far as legalities, taxes, and more. I personally started as a sole-proprietor, but I know many VAs who set their business up as an LLC or S-Corp. This doesn’t have to be long and boring. Your business plan really only needs a few points, including the services you’ll provide, the contract you’ll give potential clients, how you’ll pay for your business, and what you can offer that sets you apart from other VAs. Ready to create your business plan? This free VA Business Plan kit can help! Will you use social media as a tool to gain new clients? Do you want to have a blog and email list? How will you market your business to get new clients? These are questions you need to ask and answer so you can pitch yourself and your services a little easier. Once you’ve figured out the above steps, it’s time to reach out to your existing network! Even if they don’t fall in your VA niche, they may need the help or know someone who does. This is a great way to get your first client, and you don’t even have to step out of your comfort zone! If you don’t find a client from your network, or if you want to branch out, it’s time to advertise your services! Post on social media, write a blog post, create a YouTube video — whatever you need to do in order to gain a new client. Part of doing business is advertising what you have to offer. Also, don’t forget to create a “Hire Me” page or even a portfolio of work that you’ve done, so people can message you or book a call to hire you. Even once you’ve found your first clients, or even once your business starts growing, it’s important to continue making your clients happy. Finish your tasks on time, communicate, and go above and beyond for your clients. They’ll appreciate that you care about their businesses and companies, and will be more willing to continue working with you and refer you to others. Along with keeping your clients, you can ask for referrals and testimonials! Don’t be afraid of leveraging the work you’ve done for your current clients. Ask them if they’d be willing to put a testimonial on your site or social media. Record a video of them stating all that you’ve helped with. And ask them to refer you to people in their network if they’re happy with the work you do. Because of the hard work I’ve done and the value I’ve provided my clients, I haven’t had to look for new clients in years. All of my clients come via referrals, and it’s all because I wasn’t afraid to ask questions and do the work. As I’ve progressed with my business, I’ve also realized the importance of having the right tools at my disposal. On my “must have list” is an accounting tool, like FreshBooks. I also use Asana as my task management system, so I never forget anything that I need to do. Investing in working with a coach, or taking a course can also speed up your business growth and help you grow your revenue faster. I know I could’ve avoided a lot of newbie mistakes if I had gotten help when I first started out. That’s why I created my course, $10K VA to help other beginning VAs start and scale their business to earn up to $10K/month! So there you have it, the 11 steps you need to take in order to start a virtual assistant business. It will take work, but it doesn’t have to be complicated! Really great stuff here. Thank you for sharing your journey into the VA world. It’s something I’d love to pursue down the road, but right now I only have time for freelance writing while I’m home full-time with my youngsters. So, keep posting and I’ll keep reading! Thanks Laura! Yeah, I really feel like combining my writing and VA helped me “reach the next level” with my business. Whenever you have more time, it’s definitely something to consider pursuing. I think I would be interested in VA services when I decide it would be better to leave my full-time job. Right now I wouldn’t have the time to dedicate but it certainly sounds like a good way to diversify income if or when I freelance full-time. Thanks for sharing your experience with us. You are so welcome! Being a VA does take some time, but once you’ve gotten some good experience, it can be a lucrative way to make money. This is a very good article that I feel people who want to get into this business can benefit from. I like articles that tell me exactly what I should or need to do — it’s so much more helpful then just being vague about it all. Thank you! The article was so informative.I have outsourced lot of my business works to my virtual personal assistant in India who has helped me in lot my activities like email management, SEO etc. It is very effective. Thanks for your feedback. Hiring virtual assistants can keep business costs down which I think is why more and more businesses are turning to them to do many tasks. How to get paid on hourly basis? I can’t afford basecamp or any other time tracking software right now which usually required monthly setup fee. What to do? You can track your time manually with a spreadsheet. That’s actually how some of my clients prefer me to keep track. It’s kind of on the honors system since there’s no actually timer or anything watching what you do though. Thanks Kayla, for your quick reply. One more question burning my head after seeing your course “$10k VA”. I am wondering how many clients do I need to earn $10k per month. Because I observe some VA companies’ pricing model. I have found two types of model: hourly and task-based. Hourly model is quite impressive, but how many clients may willing to get me paid 8 hours a day, 30 days per month? And for the task-based model, I saw some companies are charging only $50 for 15 tasks for a month. 15 tasks! That’s a lot! So I am wondering how many clients will order more task in a single month so I can reach the goal of $10k? So, I am confused is it really possible to earn $10k per month and if it’s possible, then how many clients do I need in a single month to achieve the goal? Please discuss it further, I am really looking to start my own VA business seriously. The thing is, I didn’t start out the first month making $10K. It does take time to build up to that. The point is that it can be done with hard work and dedication. As for the number of clients you need it depends on what you are doing for them and what they are paying. Experience also plays a part in that as well. Remember, it is possible to start part time on the side, while working a full time job, and build your income before attempting to turn it into full time work to replace that full time job. That’s what I did and it worked well for me. I am a VA for a company but I would like to start working for myself, as my current hourly rate is between $9-12 an hour. There are definitely services that i am not skilled enough to do, so I’m not sure what to charge and how to even start. At some point, making a full time income would be ideal. Any tips? I suggest taking what you’ve learned and pitching to people yourself. You could probably start between $15-$20 since you have experience. Also, start taking courses and classes to learn more and build up your portfolio! I am glad I stumbled upon this post! I am making the switch to the virtual administrative world, but I am confused as to where to start! I have the skills, the blog, and the motivation, but I am still struggling to get something started! I will dig a little further into you website! Good luck! And you can always start with deciding what you want to do, how much you need to earn from that, and then start pitching people you’d want to work with. You’d be surprised to know what a great cold pitch can do for you! I am from QLD Australia, looking to start out. Thank you for sharing your thoughts here, some great tips! I have a real estate background and believe my experience will transfer well into the VA field! Hi Kimberly! That’s awesome, so glad you’ll be joining us in the field. Good luck! I’m looking to start my own VA . Your story is so inspiring..I want to get started can you show me the steps to moving forward. Hi, I work as a VA now, UK based, with a full stable of clients in diverse businesses. There’s so much work out there and feel I could expand but there’s not enough hours in the week. I’m not sure how to grow my business when clients hire and trust me. Am I being greedy? Have been thinking about a student or part timer. Any guidance appreciated! Hi Ruth! I would see if you could hire an intern or yes, even a student. You could bring them on board as a subcontractor, that way, you can expand your business, but not do it all yourself. You could also look at setting up a VA agency! I really liked this article very helpful! Is there anyway of contacting you to be able to ask a couple questions personally? I really would like to try this job but have questions on how to get started. Hi! Yes, you can fill out the form on my coaching page, and I’ll get back to you! I tried to contact you via your coaching page as you advised someone else, but am not in business yet and do not have a URL so it would not send the message. Is there another way to contact you? Does your business model work outside of the states? Hey Christine, Yes it does! Email my team on the contact page and we’ll see what we can do to help! Thank you so much for your experience and posts its a real help to me since im starting my own VA business your information was very interesting and intricate. Glad I could help Natalie! i am looking for a virtual assistant position. i finished college with mastery in English and writing. I suggest starting with Google and finding articles that talk about virtual assisting. You can also join a program or course that teaches you how to be a VA (like my course $10K VA) and start pitching yourself to brands/entrepreneurs you admire.